​Nova is an Eurasian Eagle Owl, one of the largest species of owl in the world. He'll fly inches above your head demonstrating silent flight. 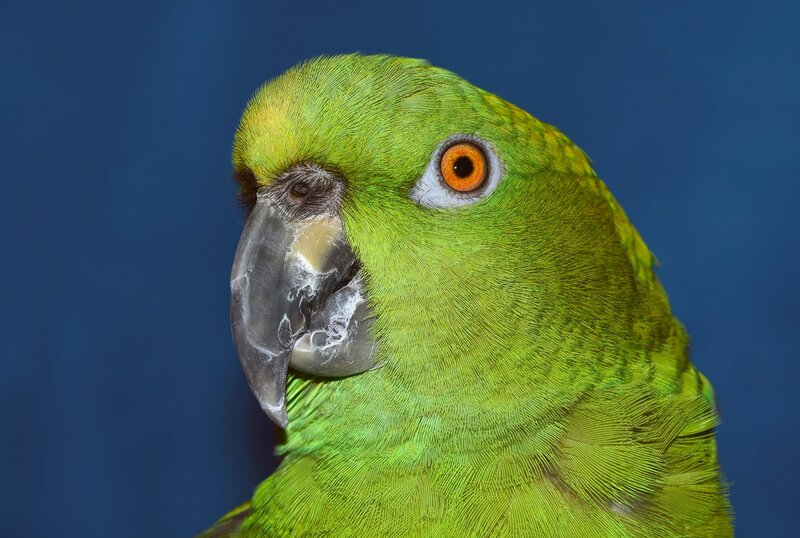 Moby is a Yellow-Naped Amazon parrot. 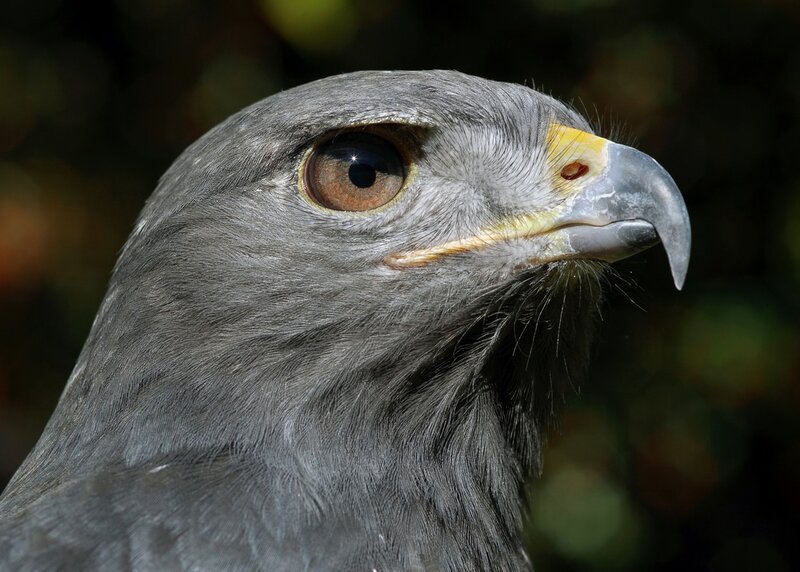 ​Jedi is an Augur Buzzard. Don't be confused by the word "buzzard". Buzzard is a synonym for "hawk". In the 1500's, Pilgrims mistakenly started calling North Americas vultures "buzzards". Vultures eat carrion while buzzards (hawks) catch live prey. ​Bambam is a Red-legged Seriama. There are 2 species of seriama. 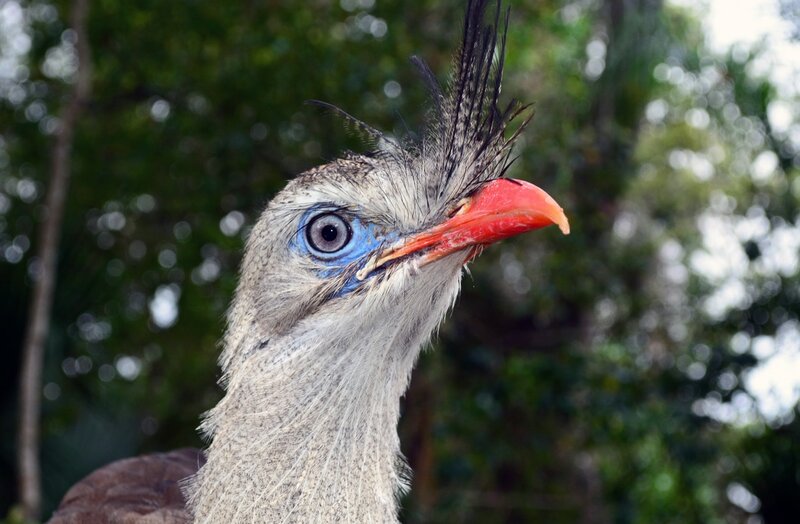 Despite their appearance, seriamas are related to falcons and parrots. Seriamas are native to South American and are famous for their extremely loud calls and their habit of beating lizards to death on rocks. ​Stitches is an Eastern Grey Squirrel. She demonstrates their amazing climbing ability and how squirrels can find an acorn months after it was buried using only their sense of smell. Grey squirrels are by far the longest lived rodent. They have been known to live into their 30's. Stitches is 14. 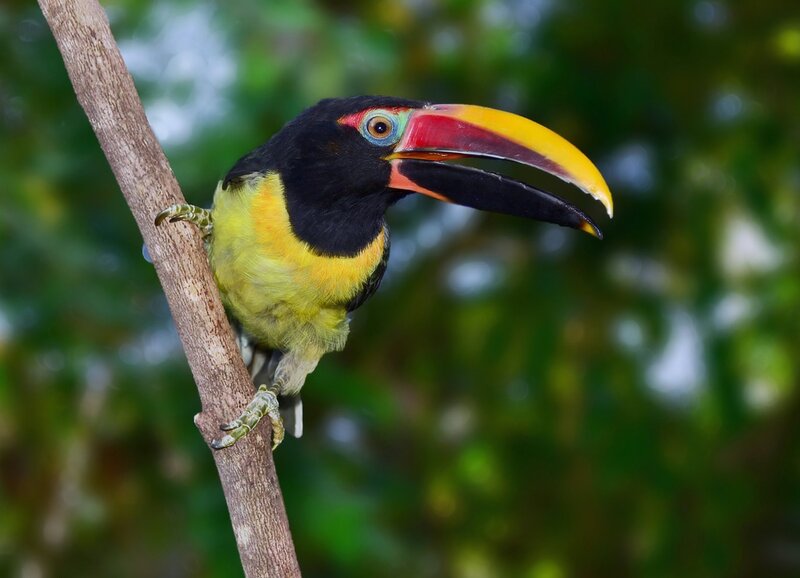 ​Turbo is a species of toucan called a Green Aracari (pronounced - are uh SAR ee). He demonstrates their highly specialized feeding technique. Feet that allow perching on vertical branches and a bill made for eating fruit. Turbo's wings are so small and beat so quickly, you may not even see them move! ​Sagan is a domesticated rat. She makes a surprise appearance in the show to remind everyone that even though you don't want wild rats in your house, rats are actually intelligent, playful, and social animals. Sagan's segment won the 2017 International Association of Avian Trainers and Educators - Interpretive Behavior of the Year. Copernicus is a galah. Galah's are a parrot from Australia. Copernicus is the newest addition to Wonders of Nature and is flying in select shows flashing his amazing and beautiful colors.